Hybrid dryer can make low temperature drying with high energy efficiency and gentle care for sensitive fabrics. 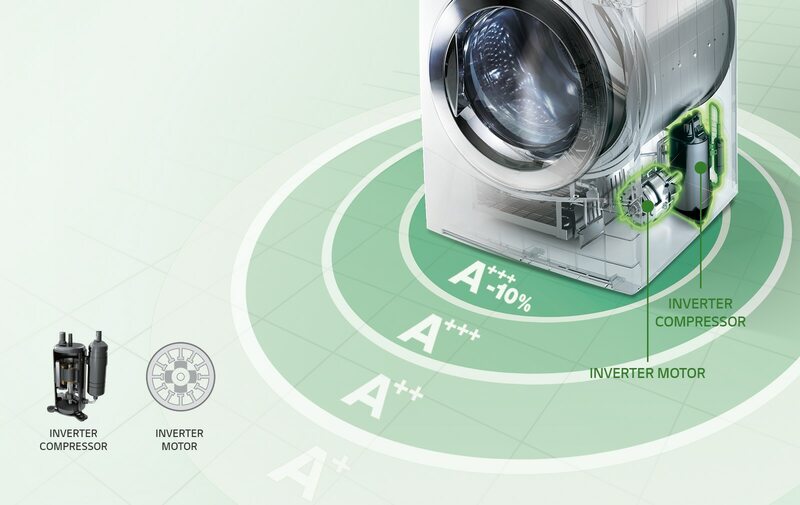 Advanced inverter technology powered by the Inverter Compressor means your dryer performs at a very high energy efficiency level. 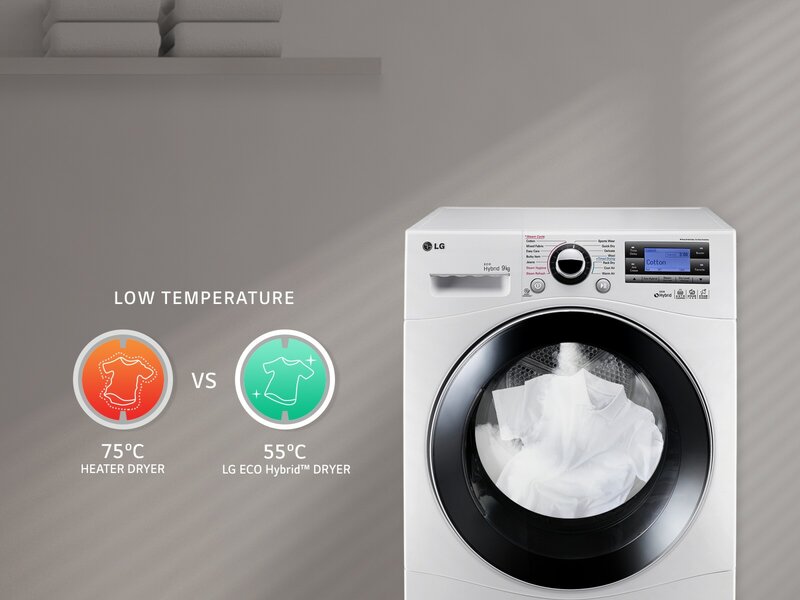 The LG ECO Hybrid™ Dryer takes good care of your clothes, especially delicate fabrics. Thanks to heat pump technology, you can more gently dry laundry at lower temperatures, which also removes wrinkles and reduces shrinkage. 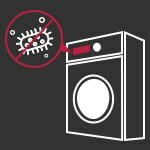 With LG’s Auto Cleaning Condenser, you no longer have to worry about repeatedly having to vacuum out lint from the dryer so that it properly functions. 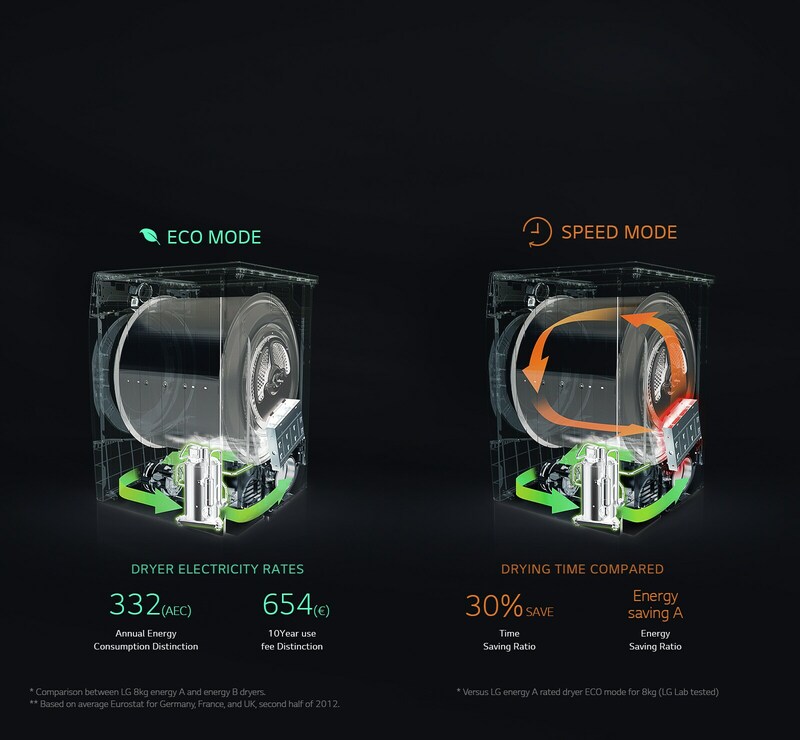 Inverter pump technology automatically washes out the condenser up to 7 times during the drying cycle, giving you more time for other tasks or even just taking a break! 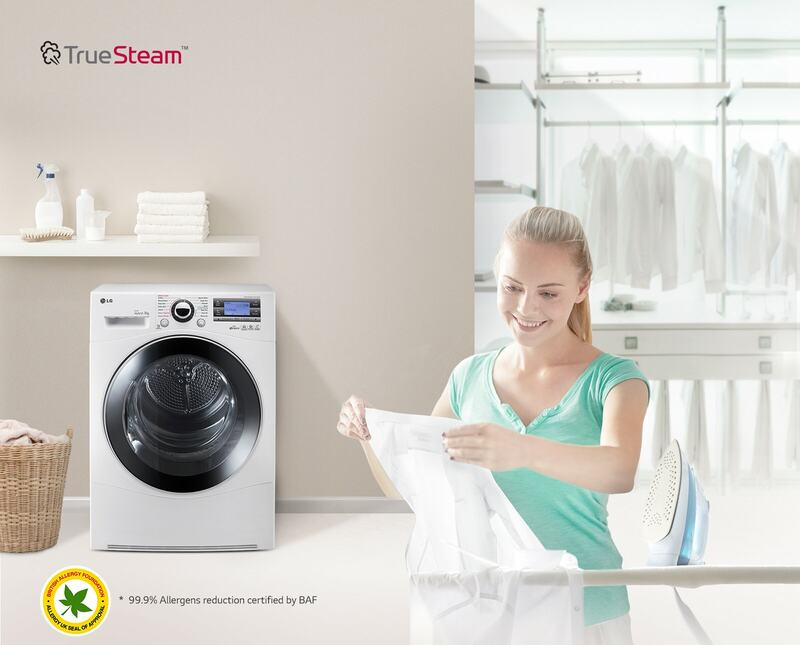 True Steam™ gently but powerfully penetrates fabrics to reduce wrinkles and freshen up clothes. A built-in steam generator creates pure steam that removes allergens, smooths out wrinkles and leaves laundry smelling fresh and clean. Plus, LG True Steam™ makes ironing a breeze or sometimes even unnecessary. 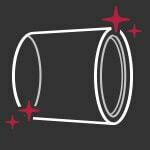 A Grade Condensing for Less Moisture. 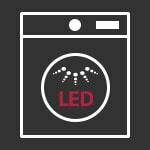 The LG ECO Hybrid™ Dryer uses condensing to deliver up to 90% drying performance. 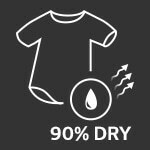 Clothes come out of the dryer very dry, with practically no moisture, fewer wrinkles and no static electricity. 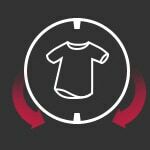 The LG dryer drum rotates both clockwise and counter clockwise, preventing clothes from getting tangled or overly creased. 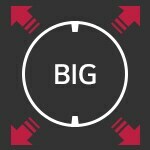 Larger drum for bigger capacity per load. Less drying frequency to provide more free time for you and your family. Forget to empty your dryer’s water tank? No need to worry. The tank contains an antibacterial substance that helps prevent the emergence of any bacterial contaminants. The NeveRust™ stainless steel drum does exactly that no rust, ever! Conventional painted drums gradually chip but the scratch-resistant stainless steel drum looks bright and clean for longer. You can see clothes drying inside the drum. 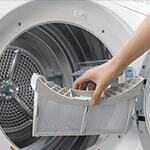 In addition to easy cleaning, the filter does not block any part of the glass door, allowing a clear view of the laundry inside. For shoes and fabric needing refreshing without tumbling.